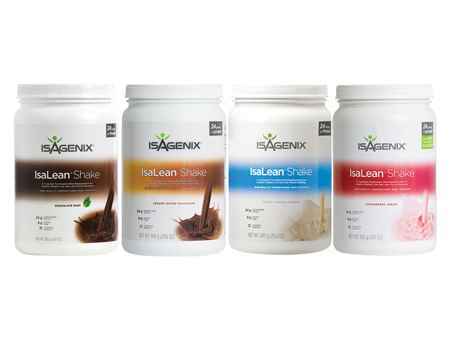 What is the Isagenix Shake and Cleanse Pak? Ready to lose weight? Want to get healthy at the same time? Then turn to the Isagenix Shake and Cleanse System for safe, weight-busting, health-boosting nutrition. 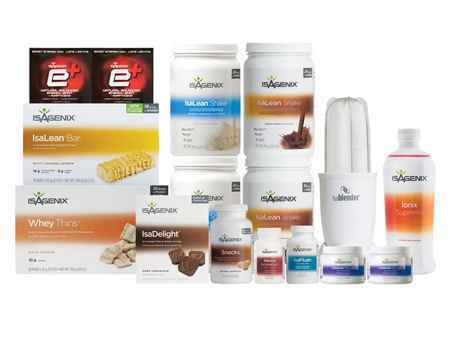 Isagenix is NOT a fad diet or temporary, quick weight-loss plan. Isagenix IS a lifestyle composed of giving your body the proper nutrition it needs to operate at an optimal level, from deep within each and every cell. 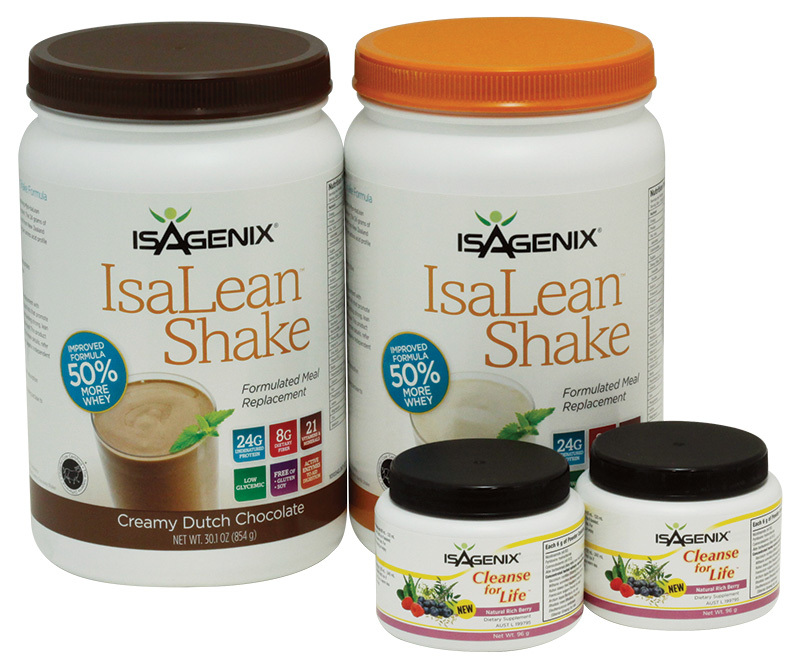 A complete, nutritionally rich weight loss regimen, this pak includes one package Creamy Vanilla IsaLean Shake and one package Rich Chocolate IsaLean Shake, along with two jars of Cleanse for Life. 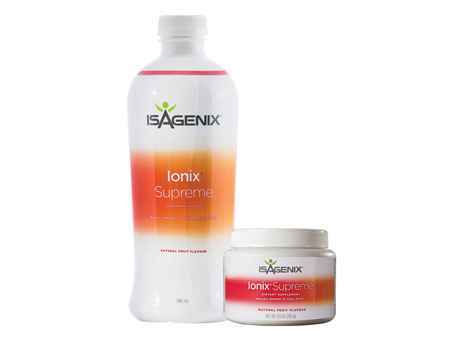 Perfect for an Isagenix lifestyle maintenance program, this system revs up your body’s natural metabolism and helps organs that are key to bodily cleansing to more efficiently process and dispel waste. 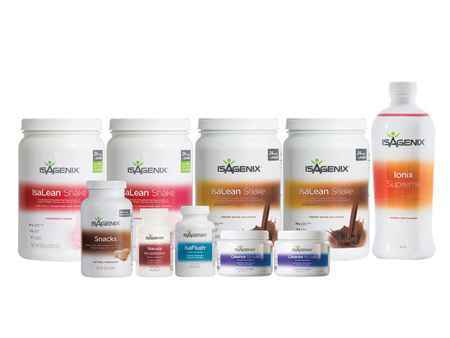 All Isagenix products are covered by a 30 day money back guarantee. If you’re not completely satisfied with your Isagenix Shake and Cleanse Pak, send it back to Isagenix for a refund! Sign up to the the Autoship program to become eligible to make money from Isagenix (optional), have access to the cheapest wholesale prices year round and get your Isagenix program delivered straight to your door every month. The latest news, competitions, recipes and more! Your information will never be shared. © Copyright 2019 IsaBoost. All Rights Reserved.